No matter what choice you choose, our promise is to always provide a clean and comfortable accommodation with the amenities of a private vacation home rather than in small hotel room. 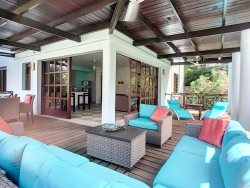 All of our properties are located within the Disney area and a short distance to the attractions, restaurants, shopping, golf and all that Curacao has to offer. Most properties feature Complimentary WIFI, Washer, Fully Equipped Kitchens and much more. Some of our properties are also in a resort style community that features a clubhouse, resort pools and playgrounds.